The Seamaster 2018 ITTF World Tour Platinum, Kaisa China Open, set to commence in Shenzhen on Thursday 31st May, is the 32nd time that the country, which very much sets the standards, will host an ITTF World Tour tournament. 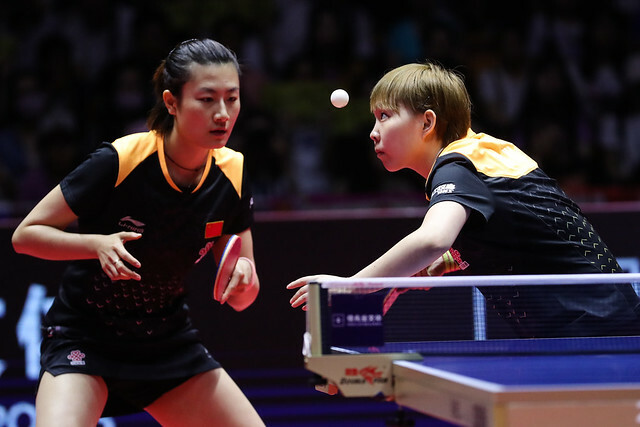 Every year since the first was staged in 1996 in X’ian, China has hosted an ITTF World Tour event, in fact from 2004 to 2009 and from 2011 to 2013 two were held annually. Now does this year promise to be the best ever? Incredibly the number of ITTF World Tour Men’s Singles titles won by players whose names appear on the final entry list is 148 of which the 90 have been secured by the 16 seeds who gain direct entry to the main draw. In the Women’s Singles event, it is 70 titles in total of which 49 belong to the top 16 names. Shenzhen can justifiably lay claim to hosting the strongest ever ITTF World Tour tournament in terms of playing standard. Impressively, of the top 50 men on the current Men’s World Rankings, no less than 47 are on duty in the Chinese city; if injury had not befallen Germany’s Dimitrij Ovtcharov, the number would be one higher. Thus 94 per cent of the top 50 players on planet earth have ventured to Shenzhen; for the Women’s Singles event, the numbers are slightly lower but still most impressive. No less than 38 out of the top 50 players listed on the current Women’s World Rankings compete; that is 76 per cent. Moreover, the numbers exceed recent years. In 2011, arguably the previous best, out of the top 50 world ranked players 33 were present in the Men’s Singles event, for the Women’s Singles competition it was 35 in number. Notably last year for the Men’s Singles it was 28 of the top 50 names, for the Women’s Singles it was 32 in number. A new World Ranking scheme is no doubt a major factor; simply the further you progress in a tournament, the more you are rewarded and there is no penalty for losing as in the previous scheme. Simply participation is encouraged. Also, let us not forget we are in a market place, so the goal must be to create a product that is better than all the rest. Present the best possible surroundings, the best possible venue, add detailed dedicated organisation and a scenario is created in which players respond. Simply the players want to be there because every detail has been put carefully in place and let us never forget, they are the reason we are all here, they are the most important piece in the jigsaw. Make sure everything is right for the player, achieved in China, setting new standards in Shenzhen.